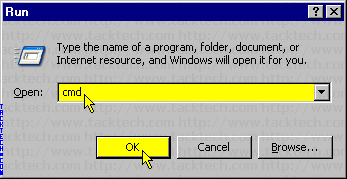 Check the System Uptime (Windows XP) - TACKtech Corp.
Did you ever want to know the uptime on a computer running Microsoft Windows XP? You can easily find out by using the following procedure. Type cmd into the Open: input box. Type the systeminfo | more at the command prompt and press enter. The system uptime will be displayed along with some other information.